This quietly powerful novella proves there’s still a lot to add to the asylum-seeker debate. It’s been more than a decade since the infamous Tampa affair, and still Australian political discourse returns time and time again to the same sorry shambles – our treatment of asylum seekers. With no sign of a solution on the horizon, the ‘refugee debate’ has dominated entire election campaigns, launched countless AM radio rants, articles, current affairs segments, bumper stickers, cartoons and tattoos. The talk, like the boats, shows no sign of stopping, or even slowing. Every week or two, the arrival of another boat – or worse, images on the television of wreckage being tossed about on the waves – stirs the discussion back into life. In the face of this barrage of words, one could be forgiven for thinking there’s nothing new to add. Thankfully, that’s not the case for Sydney-based author John Dale. 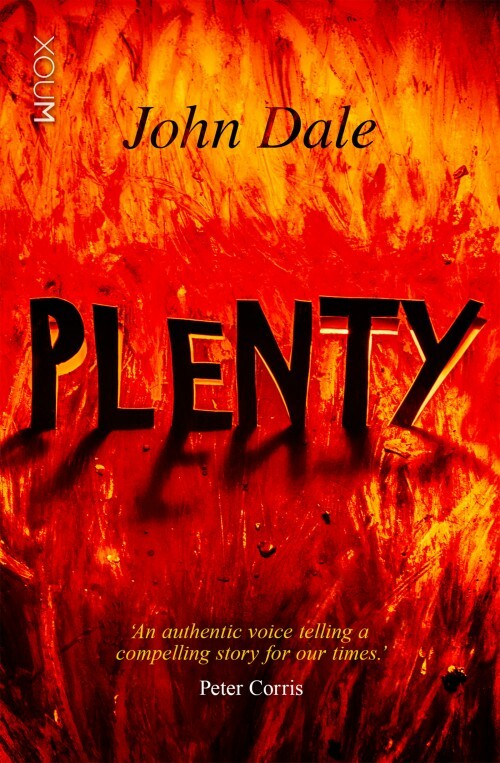 In his new novella, Plenty, Dale tackles the asylum-seeker issue head-on, proving that there’s still plenty left to be said about the way Australia handles refugees. Jed White is 17 and has spent his whole life in Plenty, a tiny town located somewhere on the Australian coast, ‘hemmed in between the mountain and the sea’, hours away from anywhere. His girlfriend, Chrissy Nickels, works in the local cannery and plans to move to the nearest city as soon as she can afford it, but secretly Jed can’t imagine living anywhere else. Two important new arrivals on the same day leave Plenty rattled. The first is former Federal political advisor, Bob Page, who rolls into town in his white Landcruiser with his beautiful teenage daughter Ashley reluctantly in tow. The Pages have bought an abandoned estate on the edge of town, where Bob plans to spend his retirement writing his memoirs. The second newcomer arrives by sea. Sitting on the beach at night, Jed and Chrissy watch as a boat they think is a fishing trawler runs aground on rocks in the distance. Later that night, a blind woman ‘wearing some sort of headscarf and a long, dark robe’ staggers into town, drenched and distressed. Soon after the woman’s arrival, Jed discovers the Pages are hiding a small group of refugees in a barn on their property. Before long, the whole town knows. Some people are eager to help. Others are curious. And a small group, including Jed’s father and Chrissy, feel that their small town is somehow threatened by the new arrivals. When the government steps in and converts the Pages’ home into a detention centre, putting up tall fences and hiring security guards, then sending hundreds and hundreds of refugees to Plenty for processing, tensions in the little town reach breaking point. Jed, meanwhile, faces a dilemma of his own. Should he remain with Chrissy Nickels, or give in to his growing attraction to Ashley Page? Lumpy Stevenson said that they weren’t really asylum seekers at all but aliens, though nobody took much notice of what Lumpy Stevenson said and most of us had seen that movie. An emergency meeting was called for Friday at 5 pm on the post office steps. The post office was chosen because it faced due east and caught the late sea breeze and the early evening was chosen because the air was the sweetest then and the light was soft. Jed White is more than just an unreliable, distracted narrator – he’s also a peripheral narrator. There’s a lot that remains unsaid in Plenty, either because he didn’t understand what was happening at the time, or simply doesn’t want to tell us. ‘This is Zhila,’ Ashley said. She pronounced it halfway between a G and a J. The blind woman pointed out towards the sea. The pupil of one eye was broken like a yolk. She gazed at my father’s hand as if she could make out its shape but not understand what it was doing there. The lack of refugees in a novella about refugees isn’t a shortcoming on Dale’s part. The many conspicuous gaps in Plenty reflect the gaps in the national discourse surrounding asylum seekers. Everyone has something to say, but it’s rare that we ever hear from the refugees themselves. In Plenty, every silence speaks of a greater absence. Often for all the wrong reasons, the asylum-seeker debate has become a part of Australian culture and ongoing history. It seems fitting that it’s finding its way into our fiction too. Plenty is an important, quietly powerful little book that deserves to find a place on high school reading lists all over Australia. John Dale doesn’t claim to have any answers but he manages to provide a new perspective on the asylum-seeker dilemma. Michelle McLaren blogs about books, time travel and nice, hot cups of tea at Book to the Future (www.booktothefuture.com.au).